The bad news is coming for the fans that service Moviebox has been Shutdown officially. This application provides stream free movies and television shows online, but recently it has been finally death. According to Piunikaweb, it is confirm that the service for IOS has officially shutdown. Most of the people have seen or are seeing messages like “Connection Error. Check your Internet Connection!” on the screen and there is no any option to do much else. Hence, Moviebox is not working. You already known that Moviebox app streams TV shows and movies, but right now this app is not working. Users are getting pretty frustrated with this situation and say their own views on social sites or other websites. moviebox not working . Unfortunately I uninstalled it but now it is not possible to install it. The link for the download is not working. Does anybody know what is #wrongwithmoviebox , please ? According to developer of Moviebox, it is confirm that app is dead for iOS but have yet to hear back. However, DTAThemes did get response from developer about this matter and developer reportedly stating over email. Sorry, but it seems to me that the app will not work anymore. The team decided to close the iOS project. Thank you for your help you have provided these years. We will defiantly post if any update will come on this matter in futures. 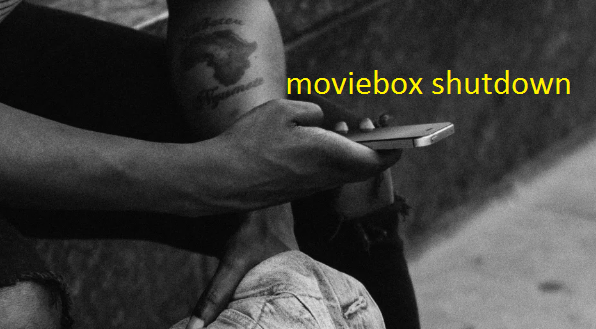 You can write your own experience about Moviebox or similar service on the comment box given below.